Home » WordPress Plugins » Yoast SEO: Video » How Does the Plugin Work With Custom Fields? How Does the Plugin Work With Custom Fields? Either Video SEO or Yoast SEO can scan designated custom fields for videos. 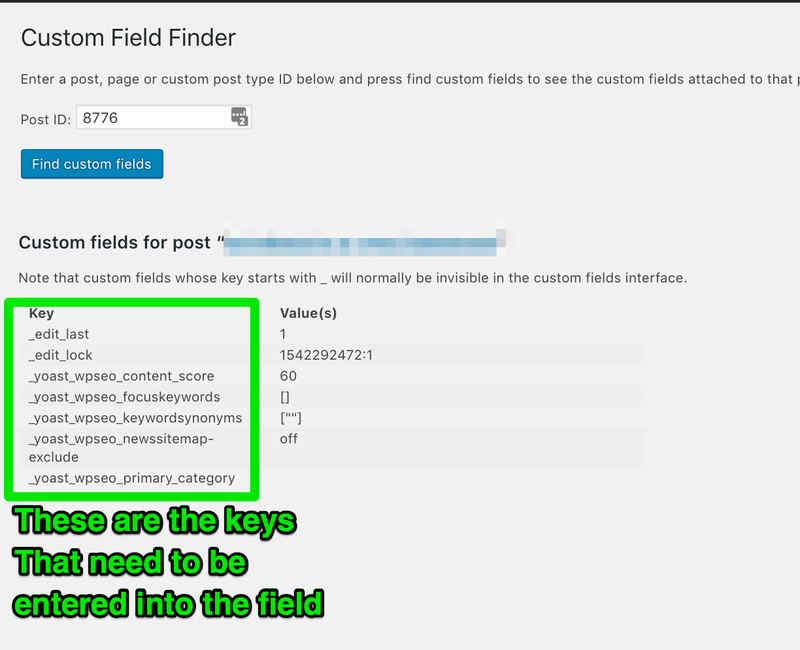 To find the custom field name, you first need to know the post or page ID. Not sure how to find the page or post ID? Here's a great tutorial for finding IDs in WordPress. To find out the name of your custom field, just download and install the Custom Field Finder plugin and easily find the custom fields you’re using! When you’re logged in, you will be in your ‘Dashboard’. Download, install and activate the Custom Field Finder plugin. On the left-hand side, you will see a menu. In that menu, click on 'Tools'. Click on 'Custom Field Finder'. The 'Tools' settings will expand providing you additional options. Click on 'Custom Field Finder'. Enter the page or post ID and click 'Find custom fields'. Find the custom field name. 7. Video SEO: Find the custom field that has the video URL or ID in it, copy the key, and enter it into the Video SEO plugin settings. 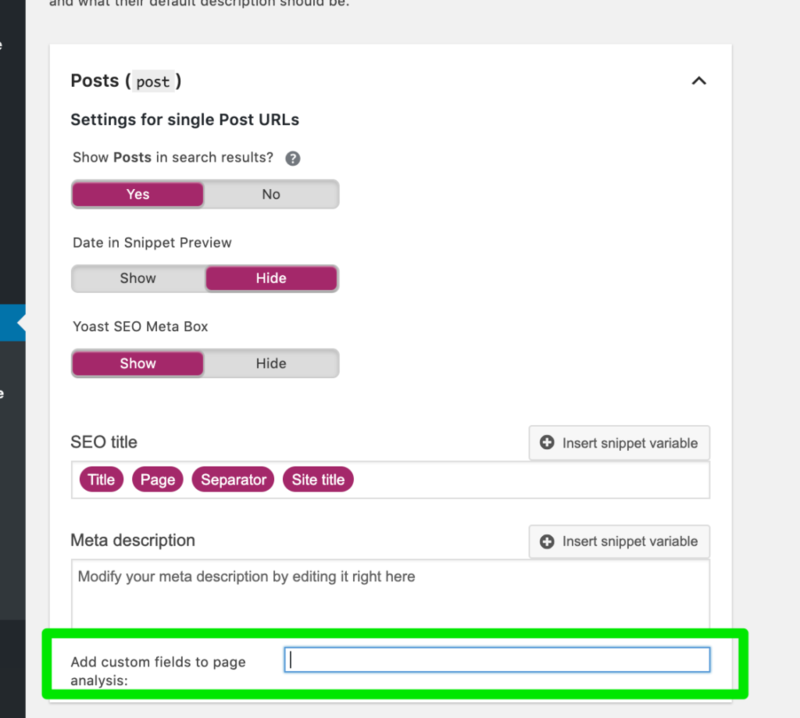 Yoast SEO: Find the custom field you want Yoast to scan, copy the key, and enter it into the Yoast SEO plugin settings. Couldn't find a custom field with the correct information? Don't fret, you can create your own. As of WordPress version 3.1, some screen options on the Administration Panels are hidden by default. Custom Fields are hidden if they have not been used before. Click on 'Screen Options' on the top right hand side and check 'Custom Fields'. 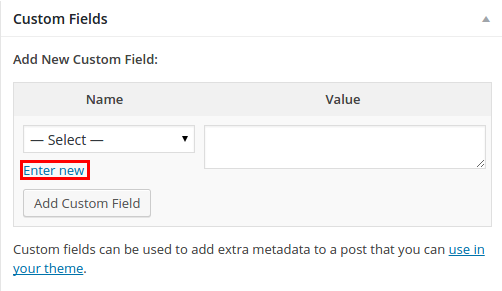 Once you create a custom field, you can reuse the same field on other posts by selecting the field from the Name drop down instead of creating a new one each time. Navigate to the edit screen of a page or post that contains a video. Scroll down to the 'Custom Fields' section. Click 'Enter new'. Add a name and value for the content. Enter a recognizable and reusable custom field name under the Name. Enter the full URL to the video for this page/post or add in your content you want Yoast SEO to scan under Value. Add the custom field Name into the Video SEO plugin or Yoast SEO plugin. If you use Advanced Custom Fields you can add a video into the field and the Video SEO plugin will detect it. Make sure you are using a Text Field to add the video and no other field. Then take the Field Name (not the Field Label) and add it to the plugin using the Add Custom Field To Video Plugin Settings. 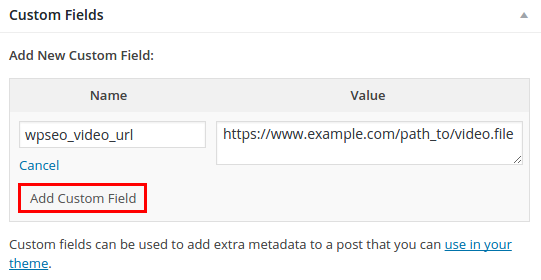 If you want Yoast SEO to scan fields from advanced custom fields please install the ACF Content Analysis for Yoast SEO plugin. You can learn more about this plugin here: Plugin Compatibility. The 'Tools' settings will expand providing you additional options. Click on 'Video SEO'. Add the custom fields to the 'Custom fields' input box. You can add a custom field for Yoast to scan. This option is only available on posts, custom post types, pages etc. It is not available on media attachment pages, taxonomies, archives, 404 pages, search pages, or author pages. Log in to your WordPress website. When you’re logged in, you will be in your ‘Dashboard’. Click on 'SEO'. On the left-hand side, you will see a menu. In that menu, click on 'SEO'. 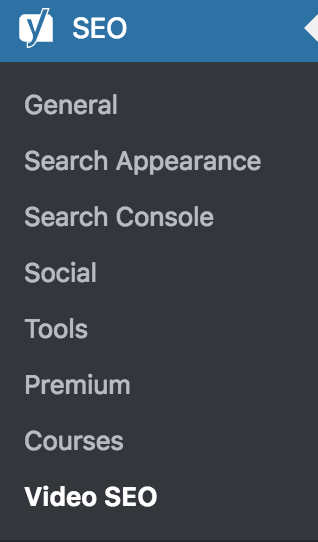 Find the right section and click on it. If the video does not get picked-up use the Force Reindex Option to make Video SEO re-scan all your posts/pages.